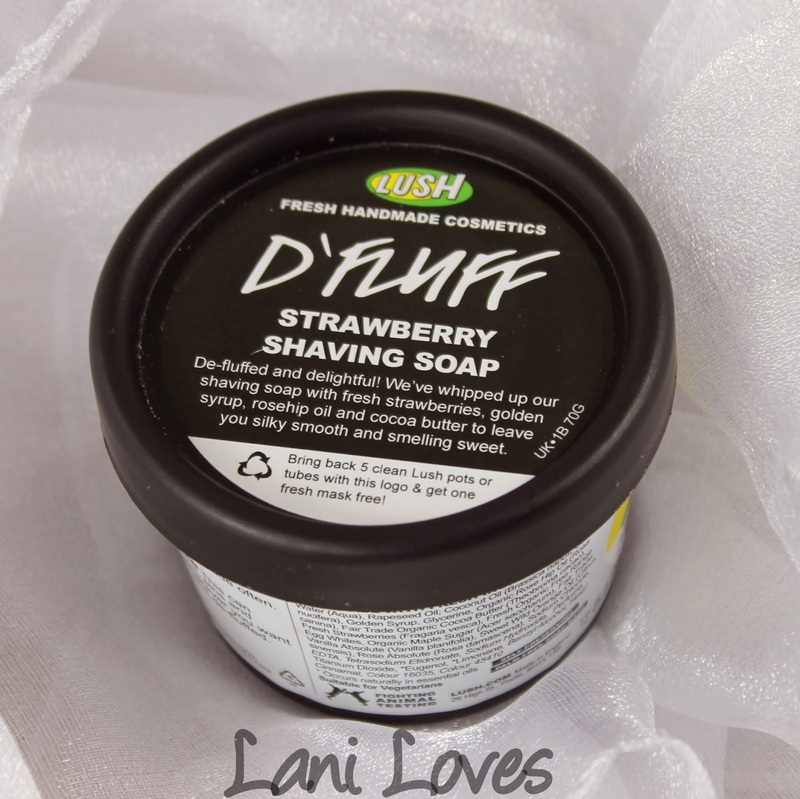 LUSH D'Fluff Strawberry Shaving Soap Review & Giveaway! LUSH launched a bunch of new goodies in January and amongst them was D'Fluff Strawberry Shaving Soap! This strawberry scented soap is different to any other shaving product I've used, resembling buttercream icing more than a traditional shaving cream. Proportionately more expensive than your bog standard aerosol shaving cream (Gilette, for example, seems to average around $8.00NZD for 195g) but worth it in my opinion for a cruelty free, more skin friendly option. I never realised that traditional shaving creams were contributing to the severe rash I'd get every time I shaved my underarms. My legs never got rashy and spotty, so I figured my underarms were just particularly sensitive. Over the summer I turned to waxing, which eradicated the problem, but let's face it - I have to be in a special kind of mood to inflict a home waxing session on myself. Tempting as it sometimes it to let my body hair roam free over the colder months, it's not my personal jam. Cue D'Fluff! I used D'Fluff on my legs a couple of times and it worked just fine but didn't wow me. Then I used it to shave my underarms and waited for the sore red spots to begin appearing. And waited. But it didn't happen. Then I waited for ingrowns and more irritation to pop up when the hair started growing back in. But that didn't happen either. And that, my friends, was when I fell in love with D'Fluff. Before D'Fluff, I'd NEVER shaved my underarms without them looking worse for it. Ever. This stuff has blown my mind! 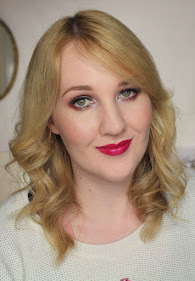 It smells like strawberries, it moisturises, it keeps me hair-free, could it get any better? 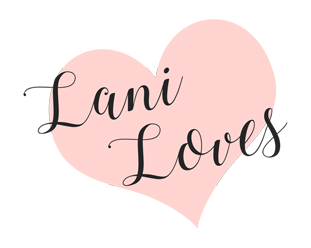 Yup, LUSH have kindly provided me with an extra pot of D'Fluff that I'm giving away to one NZ reader (don't worry international readers, there will be giveaways popping up for you soon). To enter, just use the Rafflecopter widget below. The giveaway will end in one week. 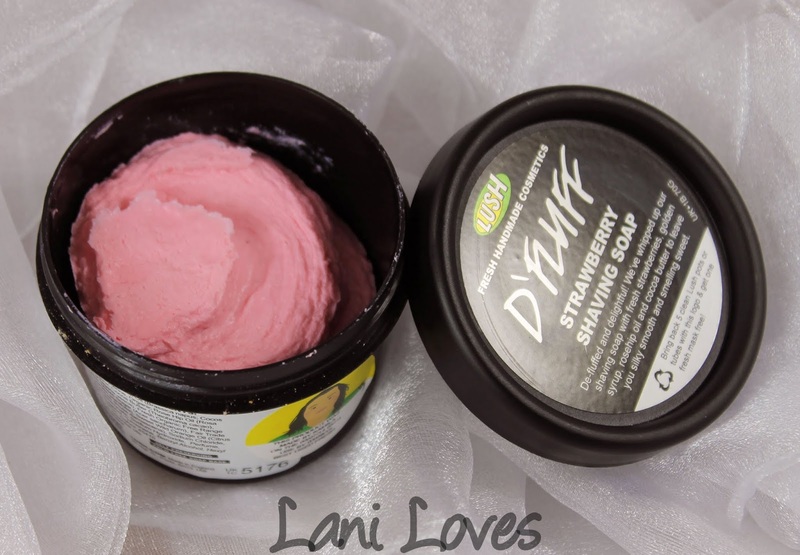 D'Fluff is available at LUSH NZ online or find a list of LUSH stores in NZ here. The rafflecopter thing isn't working for me right now, but I'll try again later. I'm so keen to give this a go, I've been using Ro's Argan as a shaving cream, so I'd love to know which is better! It does look very edible! Sorry Abbey, I've reloaded the Rafflecopter widget now. Let me know if it's still not working! Oooh this sounds amazing! I'm also prone to ingrown hairs after shaving, and even the most sensitive of shaving creams make my legs itch afterwards :( This sounds like it could be the product for me! I get such bad rashes and ingrown hairs so I'd love to try this, not to mention I wanna know what this smells like so badly! This looks amazing! I've wanted to try it for soooo long but there's always something else that takes preference when I'm in Lush haha... Awesome post! I'd love to try it because I don't actually use a shaving cream at the moment, eek! I would totally love to try this to encourage me to shave more during the colder month!! Sometimes I'm like you and hate to shave my underarms due to those annoying bumps and ingrown hairs!! Plus it's cruelty-free!! I get those weird little underarm bumps too, so I'd love to try it to see if it gets rid of them for me!